Many fitness centers have begun to open around New Jersey. Owners should be aware that New Jersey strictly regulates businesses that provide “physical fitness or physical well-being” services. For example, every health club facility must register with the New Jersey Division of Consumer Affairs and renew the registration every two years. 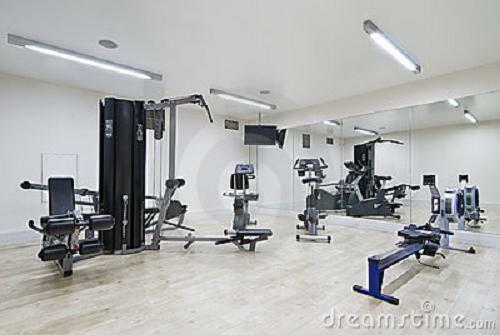 In addition, all health clubs must reregister a change in ownership. Registration can be complicated because the Division of Consumer Affairs may request information about the facility’s ownership and operations. Having an experienced attorney familiar with the registration process is important for any new business owner. In addition, all New Jersey health clubs must maintain a bond equal to ten percent of the gross income for the last fiscal year. The bond must be at least $25,000. Further, a $50,000 bond must be maintained if the facility is not operating but provides pre-opening memberships sales. All bonds must be filed with the Division of Consumer Affairs. If the facility is closed for longer than thirty days all members are entitled to prorated refunds. New Jersey law also requires that all facilities offering health club services to have written contracts, with a copy provided to the member. In addition, contracts must have specific language on specific pages. For example, a member’s total payment obligation must be on the first page of any health club services contract. The contract must also advise members that the bond was posted with the Division of Consumer Affairs. The written contract must provide members the right to cancel. Health club facilities must allow members to cancel contracts within three days of execution, or if a member becomes permanently disabled, or if a member’s permanent residence changes and becomes more than 25 miles from the facility. In these circumstances, health club facilities can receive reimbursement of their expenses up to ten percent of the contract price. Health clubs can carefully draft contracts to avoid violating the strict regulations of the Division of Consumer Affairs. For example, health clubs need not post a bond if its members are not obligated to pay for health club services for more than three months. Failure to follow these regulations can result in fines imposed by the Division of Consumer Affairs. Contracts that fail to comply with the regulations are void, which would allow members to avoid paying for any future services, provided members stop using the facility. McLaughlin & Nardi’s New Jersey attorneys are experienced at representing health club facility operators in a wide variety of matters, including business formation, drafting contracts, litigation and dealing with the Department of Consumer Affairs. For more information or to obtain assistance, please e-mail us or call one of our New Jersey attorneys at (973) 890-0004.